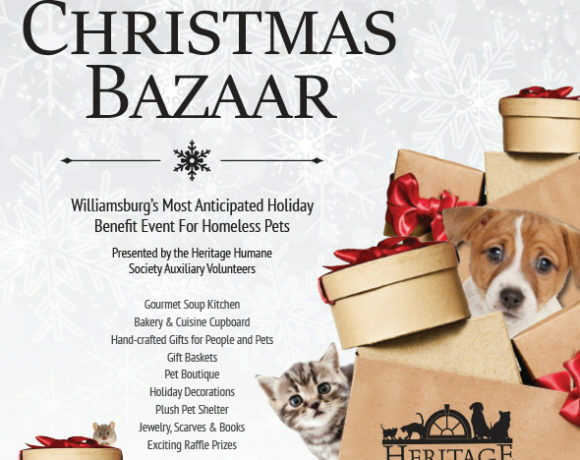 All proceeds benefit the animals at Heritage Humane Society. Exciting raffle prizes, including a 50/50 raffle! Address: 331 W Duke of Gloucester St.